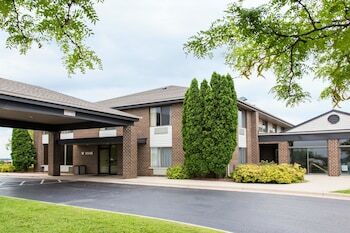 Located in Johnson Creek, Days Inn by Wyndham Johnson Creek is a 3-minute drive from Johnson Creek Premium Outlets and 10 minutes from Jefferson County Fairgrounds. Featured amenities include a business center, a 24-hour front desk, and multilingual staff. Event facilities at this hotel consist of conference space and a meeting room. Free self parking is available onsite. Located in Watertown, Royal Inn Motel is a 1-minute drive from Highland Meadows Golf and Country Club and 7 minutes from Salmon Run Mall. Free self parking is available onsite. With a stay at Rodeway Inn, you'll be centrally located in Jefferson, within a 10-minute drive of Jefferson Golf Club and Hi-Way Outdoor Theatre. Free self parking is available onsite.